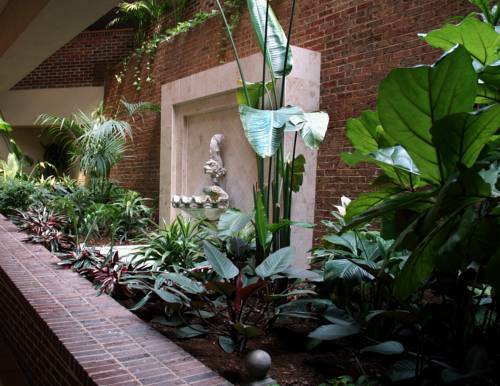 Captivate your senses at Sheraton Raleigh Hotel. Located in downtown Raleigh, NC, our renovated accommodation places you within walking distance to shopping, dining and entertainment. Our attentive staff welcomes you into our modern atrium lobby featuring classic furnishings and hardwood flooring. Settle into our spacious guest rooms and suites with Sheraton Signature Beds, complimentary Wi-Fi and thoughtful amenities. Our Sheraton Club Rooms feature exclusive lounge access and other perks. Those who are planning a meeting or social occasion will appreciate our 18,000 square feet of event space in the center of the city, enhanced by superb catering and event planning services. Grab a coffee and a snack at Caf Siena before heading out for a day in the town, or savor delicious Italian-American cuisine at Jimmy V's Osteria + Bar. Walk to the Raleigh Convention Center or City Plaza on Fayetteville Street; take in a concert or play at nearby venues. We know you'll enjoy your stay at our innovative hotel. Jimmy V's Osteria & Bar: Enjoy traditional comfort foods made with locally grown ingredients at Jimmy V's Osteria & Bar. Gather with friends in our casual restaurant featuring Italian American cuisine. Watch a sports game, or enjoy your cocktail on our patio. Caf Siena: Grab a quick coffee and snack to go before heading out for sightseeing or meetings in downtown Raleigh. Our coffee shop offers snacks, liquid refreshments and sundries - it's ideal for guests on-the-go.